Use Sitemap Generator to extract all the links from your site recursively and generate Google Sitemap (XML), Yahoo Sitemap (TXT), HTML and CSV sitemaps automatically. .
Use Sitemap Generator to extract all the links from your site recursively and generate Google Sitemap (XML), Yahoo Sitemap (TXT), HTML and CSV sitemaps automatically. AI Sitemap Generator is an offline Google sitemap creator and editor. Using a set of key rules web masters can fine tune their sitemaps with minimal effort. Unlike other sitemap creation software our generator allows you to set varying Priority..
Sitemap 4 traffic is Free Google Sitemap and html sitemaps generator that lets you provide site map facilities for your website. 2. Build Html sitemaps to be uploaded to their website. 3. Check brocken links on their website. realtor postcards, Easy XML sitemap creator, real estate postcards, realtor postcards, sitemap tool, real estate postcard marketing, postcards for real estate agents. . This tool creates a sitemap for a website i. This tool creates a Sitemap for a website i.e. a list of all the webpages that belong to a website. ROR Sitemap Generator can crawl your website and generate a ROR Sitemap with up to 1,000 URLs for all search engines, not just Google. ROR Sitemap Generator can crawl your website and generate a ROR Sitemap with up to 1,000 URLs for all search engines, not just Google. To make your ROR Sitemap automatically readable by all search engines, you must choose the "ror/rss" format. GYSitemapper is free sitemap generator for Google and Yahoo. GYSitemapper is free Sitemap generator for Google and Yahoo. Put your website url and you get generated map in two formats. It easy and powerful. Site map is critical for fast and effective indexing of your website by search engines. Spiders a site and creates output files containing (1) a list of URLs in the site, (2) a Google sitemap, (3) an XML summary file with title, description, and keywords for each page, and (4) links to URLs external to the spidered domain. Spiders a site and creates output files containing (1) a list of URLs in the site, (2) a Google Sitemap, (3) an XML summary file with title, description, and keywords for each page, and (4) links to URLs external to the spidered domain. Robots.txt compliant. DSL Speed Sitemaps Generator is a free software that allows webmasters to create an XML sitemap of their site. You can create an XML Sitemap that can be submitted to Google, Yahoo and other search engines to help them crawl your website better. Also can create Text Sitemap to have a plain list of all your pages. Search engines like Google looks for a sitemap in the root of the website because a sitemap make indexing more efficient. Quickly add Flash movies to your webpages. Powerful features include Xml, Database and SiteMap DataBinding, Debug Console, and Microsoft AJAX support. Deluxe Menu is a ready-made, professional solution that allows webmasters to create superior, cross-browser, fast web menus. Easy-to-setup, search engine friendly, cross-frame. Create an effective web site navigation with Deluxe Tuner easily. Online website optimization tools: explore and see your site like webengines. Count and display broken and internals links. Get Google pagerank for each file and generate a SiteMaps file in XML format. KWC observes the directives of the robots.txt. Online website optimization tools: explore and see your site like webengines. Count and display broken and internals links. Get Google pagerank for each file and generate a SiteMaps file in XML format. Keyword Crawler could also calculate word density in pages and display the metas and observes the directives of the robots.txt and 'robot' meta tags. AllWebMenus NetObjects fusion component allows for the perfect integration for creating web menus of infinite levels in fusion. "Engine for the site Rumba XML got its name from the famous Latin American dance rumba. It is the engine behind your website that simplifies the creation, management, and sharing of content. WebSite X5 FREE is the easiest software to turn your website dreams into reality. It includes the latest state-of-the-art features to create eye-catching and functional websites. Achieve the best result with great simplicity! There are hundreds of different combinations of colors, backgrounds and layout combinations to choose from. The web site of your choice can have both video media and your uploaded pictures along with your text. This package includes a standalone flash player by Adobe, CSS Editor Tool, BizBook Search Tool and Toolbar, Demo Video and K-Lite Codec Pack for Media Player, Android App and much more. 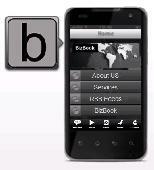 BizBook employs SSL (Secure Socket Layers) 256 bit encryption. Use a powerful tool to promote an web site on the web, submit your site to web directories for free, submit your RSS feed in feed directories, promote your software product pad file in download sites This application is easy to use with an intuitive interface, available in several languages??. Traffic Maximizer Pro is a unique software that brings MASS traffic from search engines to your website. The software works instantly so results can be visible after 24 hours from start. You can easily multiply your current number of visits, and get UNLIMITED number of new visitors monthly.